Diabetic neuropathy is caused by nerve damage which is the result of diabetes. High blood sugar can reduce blood flow and injure nerve fibers throughout your body but most often the damage occurs in your legs and feet. At least 6/10 people with diabetes have some degree of neuropathy making it the most common complication of diabetes. 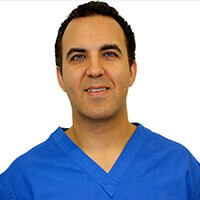 As a St. Louis podiatrist focusing on diabetic neuropathy treatment and foot problems, I routinely recommend conservative treatment to help patients reduce pain and help reduce damage to the nerves of the lower extremity. 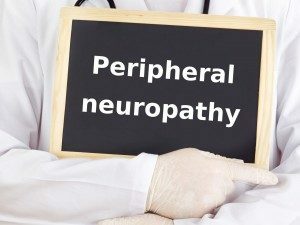 Some of the conservative diabetic neuropathy treatment include vitamin therapy, early diagnosis utilizing small nerve fiber density studies and nerve conduction velocity studies and EMG studies. Combating this disease at an early stage will help reduce the symptoms and complications that could occur later in the disease. Lipoic acid, also known as alpha-lipoic acid, is a sulfur-containing fatty acid. It is found inside every cell of the body, where it helps generate the energy that keeps us alive and functioning. Lipoic acid is a key part of the metabolic machinery that turns glucose (blood sugar) into energy for the body’s needs. Alpha lipoic acid is a very potent natural antioxidant. As a powerful antioxidant, it is important in providing positive aspects for diabetes including prevention and blood sugar control. Sources of ALA are from organ meats such as the heart, liver and kidneys, and vegetables such as broccoli and spinach. ALA is also present in yeast, particularly brewer’s yeast. I recommend 600mg per day as the dosage to treat neuropathy. See this article from Dr. Allen Jacobs about ALA and neuropathy. L-carnitine is an amino acid, which is used in the body during the production of energy, to maintain normal nerve function, and to stimulate the production of other essential substances. This supplement is known to have neuroprotective properties. It is also very effective for patients that are on chemotherapy medications that causes neuropathy. The recommended daily dose to effectively treat diabetic neuropathy is 2000mg/day. Beef steak and ground beef have a high amount of the amino acid, but has a vegetarian, I would recommend a daily supplement or 1 cup of milk has 8mg of carnitine. All B vitamins help the body convert food (carbohydrates) into fuel (glucose), which is used to produce energy. 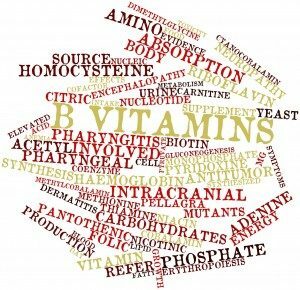 This is a big reason why B vitamins are a big component for treating diabetes and related issues such as neuropathy. Vitamin B12 has numerous functions with the body. It helps form the sheath that surrounds nerves and it removes a destructive substance called homocysteine from the blood. This is commonly talked about with the medical food called, Metanx. Basically, the Vitamin B12 is mostly found in meats, liver, and clams, but also smaller amounts in some dairy products and fish. For those of us that are vegetarians, it will be hard to find a natural product that contains Vitamin B12. The original form of vitamin B12 is called cobalamin. In order for this vitamin to be used in the body, vitamin B12 must combine with intrinsic factor, a substance released by the stomach cells, and is then absorbed into the bloodstream. This form of the vitamin is called methylcobalamin. (Do not get this confused with cyanocobalamin which is produced synthetically in the lab by bacteria.) That’s why pernicious anemia, an autoimmune disease which destroys the parietal cells in the stomach that release the intrinsic factor, causes vitamin defiency and will need injections of the vitamin to treat the disease. Folic acid plays a big role in brain function (think nerves) and plays an important role in mental and emotional health. Folic acid also works synergistic with vitamin B12 to help make red blood cells and help iron work properly in the body as well as decreasing homocysteine levels (see the paragraph above on Vitamin B12 and Metanx). Those who take ordinary folate supplements, however, may not be experiencing its full spectrum of effects. This is because once ingested, not everyone can convert folate to its biologically active form called 5-methyltetrahydrofolate (5-MTHF). This is the one major reason that I consider Metanx “the Cadillac” of all neuropathy medical foods! No other vitamin has this active form with vitamin B12 included. However, the cost is about $50/month. Some good sources for folate (not active form) include spinach, asparagus, turnip greens, sunflower seeds, rosemary, and lentils. Vitamin B6 helps your body metabolize proteins and red blood cells, while it also helps boost your immune system, maintain blood sugar levels and keep skin looking youthful. Crude rice, wheat bran, pistachios, dried herb like chili powder, and raw garlic are some food sources with the most vitamin B6. Diabetic patients with neuropathy have been shown to be deficient in this vitamin and would benefit from supplementation. Vitamin B1 is also known as thiamin. Benfotiamine is the fat-soluble precurser form of thiamin, that is used to treat alcoholic and diabetic neuropathies. It has been licensed for use in Germany since 1993. It is prescribed there for treating sciatica and other painful nerve conditions. Widely available in supplement form, benfotiamine is found naturally in garlic, onions, leeks, and other members of the allium family of vegetables. Many supplements contain a synthetic form of benfotiamine. As a podiatrist, I recommend and regularly prescribe 2 similar medications called Metanx or NeuRx-TF which is a combination vitamin therapy focused directly on neuropathy and diabetes. These two medications are known as supplements and may not be covered with typical health insurance but can be purchased at most podiatry offices including here at Arch City Foot & Ankle. If you would like more information or have problems with diabetic neuropathy in your feet please contact us or schedule an appointment.